Do you wish Jesus Christ to be at the center of your marriage? 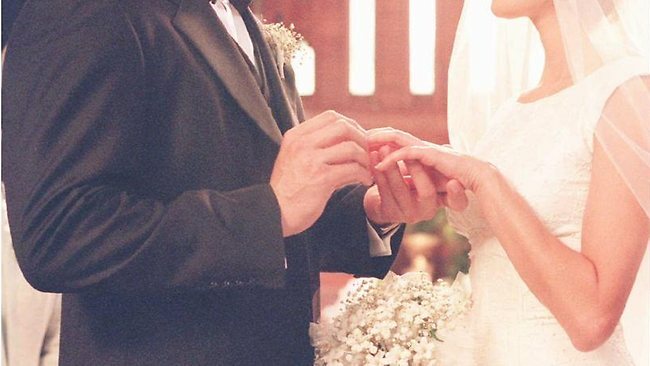 Do you wish to have a marriage that is blessed by God and live as He would have you live? If you answered “yes” to both those questions, then we would be happy to perform your marriage ceremony and provide premarital counseling before the marriage. Clear the date with the church secretary. Meet with Pastor and schedule premarital counseling. Cost of the instrument used (Prepare/Enrich) is $35. Plan the wedding service with the organist and Pastor. The organist can help you select music for your wedding. If you would like to use the church facilities for your reception, please contact the church to make arrangements. First Lutheran has a professional kitchen and large hall which holds about 150. Prices are reasonable. Keep in mind that no alcohol is allowed on church property. Bring your marriage license to the church office a week before the wedding. All participants meet for rehearsal the evening before the wedding (usually 30-45 minutes). Encourage everyone to be on time. Please discuss the order of worship and music with Pastor and the organist before the bulletins are printed. This insures that the best possible worship service and order for your wedding. Keep in mind that the songs you pick should be sacred, not secular love songs. Make certain that everyone in your wedding knows that no alcohol should be used before and during the rehearsal and wedding ceremony. No alcohol is allowed on church property. Pictures may be taken before or after the wedding ceremony, but we prefer that flash not be used during the worship service so that we experience together the ceremony, not the recording of it. Discuss with Pastor and the organist (and soloist, if you have one) the amount of gratuity that is expected. Gratuities should be paid at the wedding rehearsal.